His Excellency Honourable Colonel Andrew Tiberius Adam Rhédey von Kis-Rhede has received the Grand Cross of the Order of the Crown of Thorns and the Order of the Lion and the Black Cross in a ceremony at St Severin’s Abbey, Germany. The brevets of appointment were presented by San Luigi Grand Prior for Continental Europe the Most Revd. Dom Klaus Schlapps, OPR. Col onel Rhédey von Kis-Rhede is Grand Prior of the Carpathian Grand Priory of the Order of St Lazarus of Jerusalem, Commander of the Carpathian Commandery of the Sovereign Orthodox Order of the Knights Hospitaller of St John of Jerusalem (former Russian Grand Priory in St Petersburg), Knight Grand Cross of the Order of the Eagle of Georgia and the Seamless Tunic of Our Lord Jesus Christ, Member of The Most Venerable Order of the Hospital of Saint John of Jerusalem (British Commonwealth), Prefect of Slovakia of the Confraternitas Oecumenica Sancti Sepulcri Hierosolymitani and Aide-de-Camp to the Governor of the Commonwealth of Kentucky. He is the only son of Helena Countess Rhedey von Kis-Rhede and His Excellency Dominus Andreas Adam of Kende. 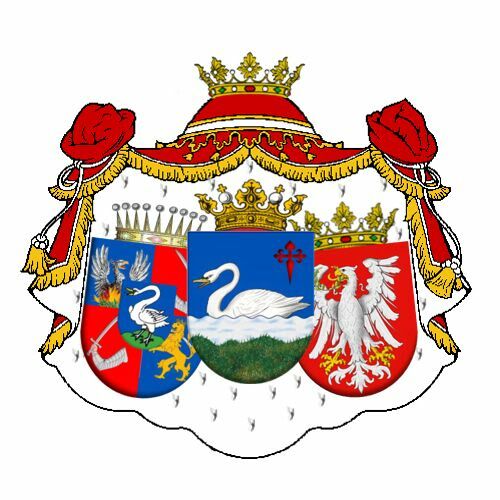 He is a direct descendant of the Hungarian Royal House of Árpád and the Hungarian Royal House of Aba; Bans of Dalmatia and Croatia; Voivods (Dukes) of Transylvania; Princes and Palatines of the Principality of Nyitra and of Hungary; the Princely House of Rhédey; the Counts of Rhédey von Kis-Rhéde; Counts Palatine of the Holy Roman Empire; Counts Palatine of the Sacred Palace of the Lateran; Hereditary High Nobility and Royalty of Hungary, Transylvania, Austria and other sovereign jurisdictions of Europe. He is Head of the Royal House of Aba and of Genus Aba Foundation.